Sylas Thompson, 11 years old, is about to “brave the frigid” waters of discovery passage starting February, 1st 2019 in order to raise money for two local charities. Sylas follows in his uncle Jakes’ footsteps, also known as Polar Bear Jake, who similarly raised money for the food bank at the age of 13. 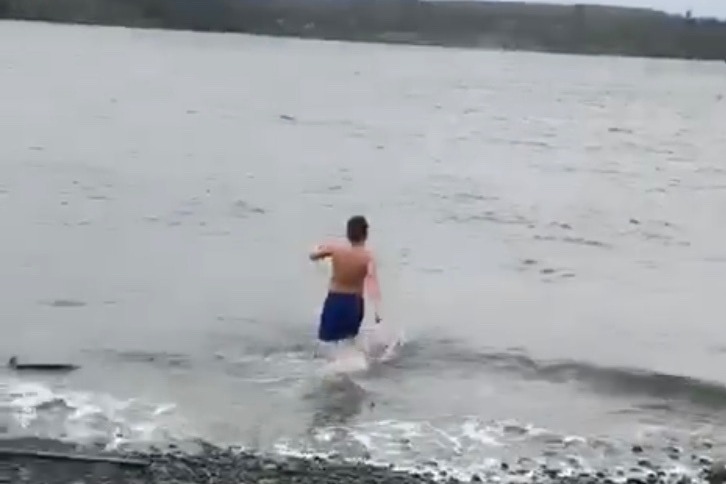 Sylas has pledged to jump in the freezing waters until he raises a total of $30,000. The moneys raised will be split 50/50 between the Campbell River Women’s Centre and Grassroots Kind Hearts association. hygiene products, and even school supplies! The Campbell River Grassroots Kind Hearts association is made up of volunteers who provide hearty meals to the marginalized persons in our community. They are working towards opening a facility that provides laundry full kitchen and other supports. Both of these non-profit agencies help our community greatly and Sylas would like to prove that as a community we can reach the goal of $15,000 each! It is absolutely wonderful a child of this age has the desire to give back to his community. So, come on let’s show him what community is all about!! The bank account at Costal Community Credit Union is at $1,500 !